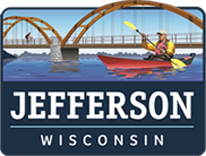 The City of Jefferson is accepting applications for janitorial service at three City facilities. This is a contractual position. This application is open to an individual(s) who are interested in providing a minimum of 27.5 hours/week in janitorial service for the City Hall Office, Police Department and Senior Center. Proposal guidelines are below. In order to be considered, applications must be submitted to the City Hall office no later than April 30, 2019 at 4 p.m.